This scarf pattern was inspired by a trip to Regensburg, Germany. 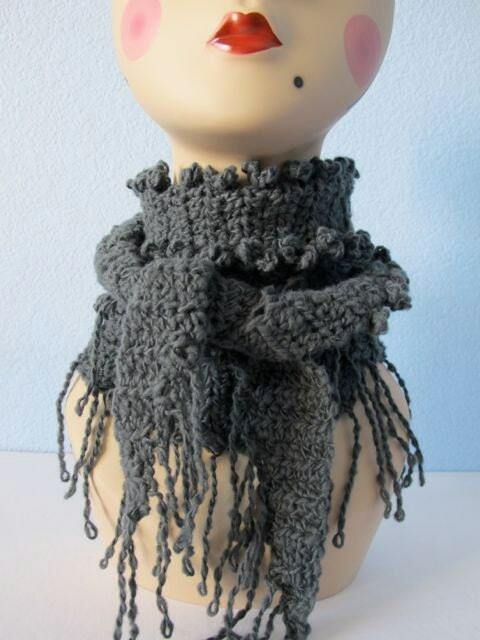 I love the versatility of this long, narrow triangle scarf. In the pattern, I discuss how to crochet the scarf to create three great looks. The grey scarf represents the pattern as it is written. 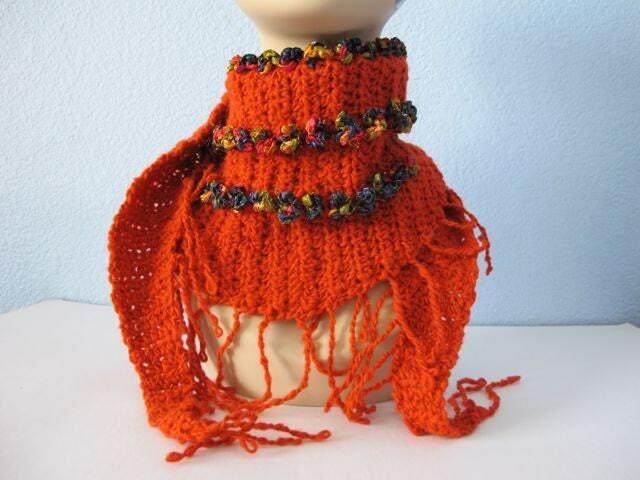 The orange scarf shows how the finished piece looks made with an accent color and larger ruffles. 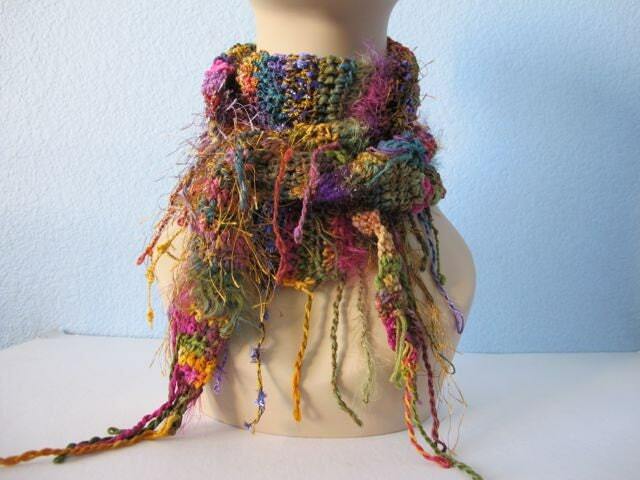 The multi-colored scarf illustrates the pattern made without ruffles. This pattern also comes with a link to a companion video to guide you as you crochet. The Regensburg Scarf is designed to be worn with the point in front and the ends are wrapped around the neck and brought back forward. The ends can then hang free or be tied in front. Of course there are no hard and fast rules, and as you can see from the photographs, you can create quite a few different looks. The Regensburg Scarf pictured here in grey was made using Lana Grossa Linea Pura Verde in color #011 Grey with a crochet hook US size H(8) / 5.00mm. The finished Scarf measures 52 inches long and is 10 inches at the widest point. 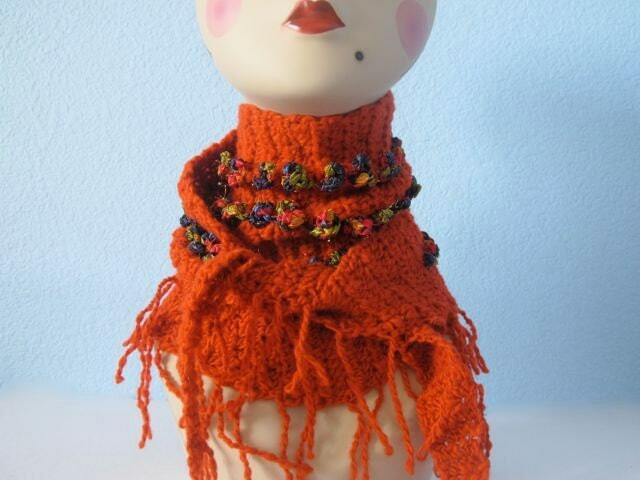 This purchase is for The Regensburg Scarf pattern only. It does not come with the scarves pictured here. 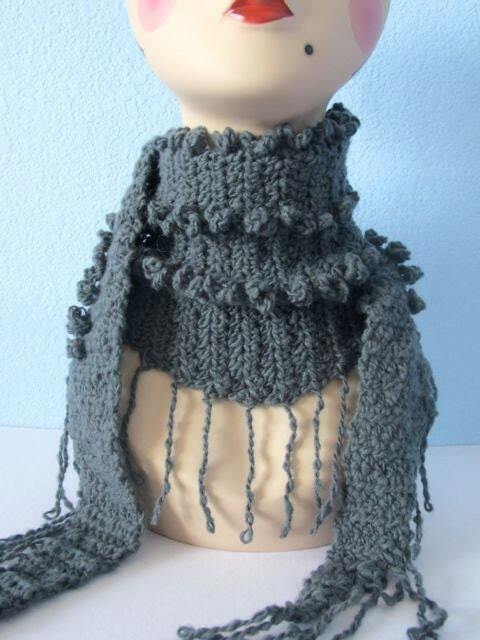 I hope you enjoy making The Regensburg Scarf!